The furniture of the Synagogue in the backhouse at 15, Sillgasse, then Straße der Sudetendeutschen, was demolished and given to the janitor as fuel. The Thora rolls were saved. Since 1910 the Synagogue had been located in an annex of the building in Straße der Sudetendeutschen and it accomodated about 200 persons. For years the community gathered in a praying room in 7, Anichstraße, owned by family Brüll. The rabbi of Hohenems Josef Link moved to Innsbruck in 1914, where he was appointed to the rabbi of Tyrol and Voarlberg. He fulfilled this task until his death on November 7th, 1932. Dr. Elimelech Rimalt, his successor, was a native of Poland and conducted the last congregation at Rosch Ha-Schana in September 1938. In October he moved to Vienna with his family. With the takover of the National Socialists in March 1938 the chicaneries against the Jewish Community and families started. After the pogrom night in November almost all Tyrolean Jews had to leave the Gau of Tyrol and Vorarlberg. While at least two hundred Jews of Tyrol and Vorarlberg did not survive the year 1945, it is a fact that about three hundred survived abroad or even in concentration camps. 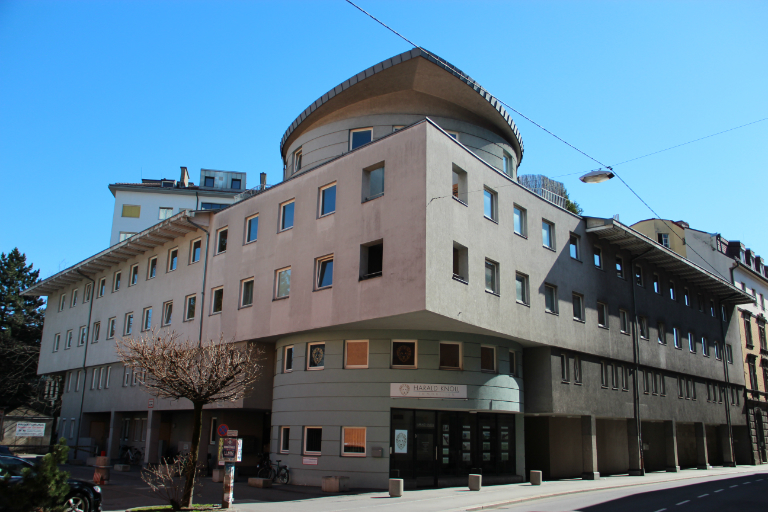 Since 1986 Dr. Esther Fritsch has been president of the Jewish Community of Tyrol and Vorarlberg. The last Tyrolean rabbi Dr. Elimelech Rimalt became a member of Israel´s parliament Knesset and died on November 5th, 1987 in Israel. In June 1997 a menorah memorial for the murdered Jews in the pogrom night was erected at Eduard Wallnöfer Platz, also Landhausplatz, and consecrated by Paul Chaim Eisenberg, chief rabbi of Vienna.